A lethal yellow fever outbreak in Minas Gerais has prompted citizens in neighboring Rio de Janeiro to urgently seek vaccines. 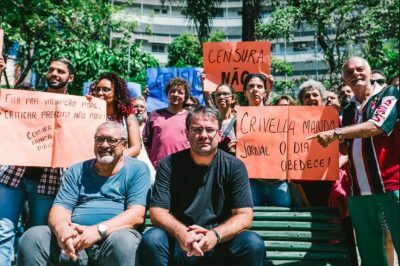 A reporter was fired from a newspaper in Rio de Janeiro, soon after he wrote a story critical of the municipal administration's response to an outbreak of yellow fever. The city's mayor, Marcelo Crivella, is being accused of directly requesting his termination. On March 16, the newspaper O Dia published Caio Barbosa story on the long queues and insufficient yellow fever vaccines at Rio's public health clinics. There has been a surge of yellow fever in the neighboring state Minas Gerais. So far, 117 have died prompting panic among citizens in Rio de Janeiro and pushing them to urgently seek vaccines for themselves and their children. O que resta da ditadura? Tudo, menos a ditadura. […] Temos que nos mobilizar urgentemente para produzir uma vacina contra o arbítrio do poder político em nosso país, democratizando os meios de comunicação. What's left of the dictatorship? Everything except the dictatorship. […] We must mobilise urgently to produce a vaccine against the will of political power in our country, democratising the media. The first to come forward with the news on Barbosa's dismissal was journalist Cid Benjamin, who says he spoke with the fired journalist on the phone. Benjamin published a series of posts on his Facebook page in which he says, quoting Barbosa, that Crivella had directly asked the owner of the newspaper to dismiss Barbosa because of that story, which has now been taken down from O Dia's website. According to Benjamin, still quoting Barbosa, the piece had already been altered from its original version, before it was taken down. 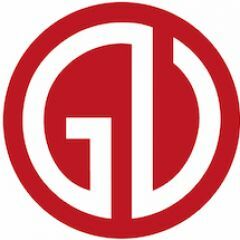 While the original piece had run in O Dia's print edition, the altered version was republished by other media outlets, such as Agência Brasil. Facebook user Mariana Claudino, however, accessed the original version through Google cache and posted some screenshots on her Facebook page. “É falsa a informação divulgada nas redes sociais atribuindo a mim o pedido de demissão do jornalista Caio Barbosa do Jornal O Dia. Jamais faria isso. Declaro de forma veemente que respeito os profissionais de comunicação e a liberdade de imprensa. Repudio, tenho desprezo e nojo a perseguições políticas, e no meu primeiro discurso depois de eleito, roguei a Deus que nos livrasse da praga maldita da vingança. 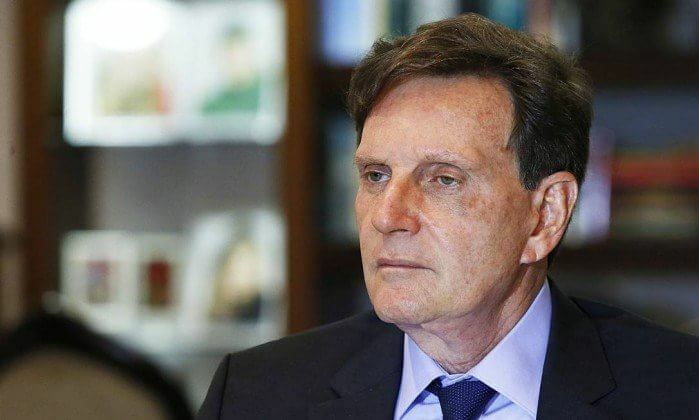 It is false the information divulged in the social media networks attributing to me the request of dismissal of the journalist Caio Barbosa of the O Dia newspaper. I would never do it. I vehemently declare that I respect media professionals and freedom of the press. I repudiate, I despise and am disgusted by political persecution, and in my first speech after being elected, I prayed to God to deliver us from the damned curse of vengeance. A nota oficial do prefeito é uma mentira. Não apenas sobre mim. Sobre ele. Mente do início ao fim. Uma pena. Mentir é pecado. Deve ter sido escrita por um assessor. Espero. Errar e reconhecer o erro é virtude que Deus perdoa. Insistir na mentira é feio. The official note from the mayor is a lie. Not just about me. About him. He lies from start to finish. A shame. Lying is a sin. It must have been written by an aide. I hope.To make a mistake and acknowledge it, is virtue that God forgives. Insisting on the lie is ugly. Mayor Marcelo Crivella. Photo by Midia Ninja, free to use. 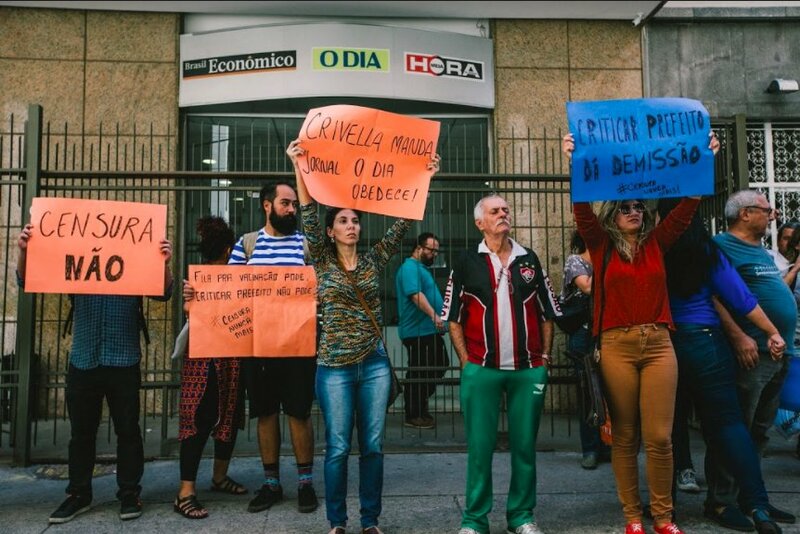 Support for Barbosa poured in on social media and blogs throughout the weekend and an emergency protest, with about 50 people who supported him, took place in front of the offices of O Dia in central Rio on March 20. O prefeito do Rio de Janeiro mandou demitir um repórter do Dia, Caio Barbosa. O jornal seguiu a ordem. Ambos os gestos são inaceitáveis e perigosos em país que se esforça em ter maior transparência e prestação de contas de políticos, mas cujos líderes insistem em não entender essas demandas sociais. The mayor of Rio de Janeiro had a reporter of O Dia dismissed, Caio Barbosa. The newspaper followed the order. Both gestures are unacceptable and dangerous in a country that strives to have greater transparency and accountability of politicians, but whose leaders insist on not understanding these social demands. Vamos cuidar das pessoas, desde que elas digam o que vc permite. Certo, Marcelo Crivella? Let's take care of people provided they say what you allow them to say. Right, Marcelo Crivella? Newspaper O Dia has been immersed in controversy since a large chunk of its shares were acquired by the Portuguese group Ongoing. The media conglomerate used its president's wife's Brazilian nationality to circumvent Brazil's limit on foreign capital investment in media companies. Ongoing is currently facing a financial crisis, and O Dia is now on the verge of bankruptcy. Pingback: Vacinas para os que podem viajar: notas sobre a saúde entre a morte e autoritarismos no Rio de Janeiro – ESCUTA.